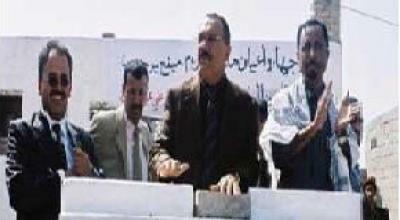 Almotamar.net - President Ali Abdullah Saleh on Thursday opened and laid foundation stones for projects in Taiz amounting to 437 services and development projects at a cost that is estimated at YR 47 billion. Almotamar.net - An agreement was signed on Tuesday for the establishment of a Yemeni-Qatari for insurance. The agreement was signed on Tuesday at the headquarters of Investment authority in Sana’a and the company’s is amounting to YR 500 million to which the Yemeni side contributes to YR 300 million. 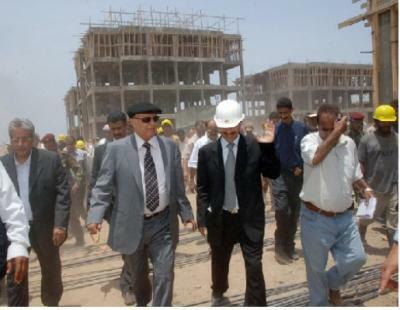 Almotamar.net - Vice-President of Yemen Abid Rabu mansour Hadi on Thursday visited the province of Abyan during which he inspected and laid foundation stone for a number of development projects in areas of roads, youth and sport.